After you have successfully created your account and added your vehicle(s) and Mercedes PRO connect services, you must schedule an appointment with an authorized Freightliner dealership to have your information verified. Alternatively, you can perform steps 1 and 2 while at an authorized Freightliner dealership. After your authorized Freightliner dealership has verified your information, you can start using the Mercedes PRO Portal and Mercedes PRO products you have assigned to your vehicles. Introducing Mercedes PRO1, Mercedes-Benz Vans’ brand new product for all current and future business services or solutions. Designed to digitalize your business, Mercedes PRO brings you the services you need, all bundled into a single web-based platform. On the Mercedes PRO website, https://www.freightlinersprinterusa.com/mercedespro, you will find direct access to mobility, financing, and connectivity solutions in addition to other services that improve your vehicle’s function far beyond that of an ordinary van. 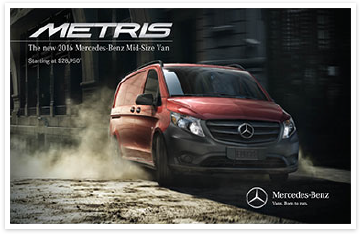 Mercedes-Bens Vans plans to surpass customer expectations by continuously expanding our list of offerings and using forward-thinking technology built with the purpose of improving the daily business routine of our customers. In order to verify that the correct people have access to your fleet, accounts must be verified. In order to verify your account, you will have to visit an authorized Freightliner Sprinter dealership with a driver’s license or other government issued ID so that your account information can be confirmed. 2.6 Is it necessary for each user of my company account to be verified by an authorized Freightliner Sprinter dealership? 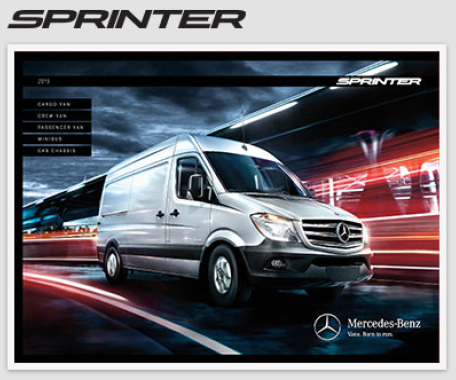 Please contact your authorized Freightliner Sprinter dealership for vehicle activation. 2.12 Can I use Mercedes PRO connect for other Freightliner vehicles? Mercedes PRO connect2 is initially only available for the new Freightliner Sprinter1 models. We are continuously working on extending our portfolio. 2.14 I use the Freightliner Sprinter with the Communication Module for digital services as a private customer (e.g. as a R.V.). How can I use the Mercedes PRO services in the MBUX? If you use the new Freightliner Sprinter (model 907)5 privately, you can use select Mercedes PRO1 services (Internet in the Car6, Live Traffic Information7 incl. Car-to-X Communication8, Multimedia Functions9 and Navigation Functions10 excluding Send2Car11) in the vehicle. You can find the hardware requirements for this in the respective service descriptions. The activation process for the use of Mercedes PRO services in conjunction with the MBUX by private customers – but without use of the Vehicle Management Tool and App – differs from the process described for commercial customers. If you are a private customer, please contact your local Freightliner Sprinter dealer. When you sign a private customer contract for Mercedes PRO at your Freightliner Sprinter dealership, everything else will be taken care of and you will be able to use your MBUX in your vehicle with Mercedes PRO services soon after signature. Other services related to the Vehicle Management Tool and App are designed specifically for commercial applications and are not available to you as a private customer. In some cases, someone from an authorized Freightliner Sprinter dealership may need to access your account to provide support. To add a new vehicle, you must be a verified user. To verify yourself, you must register either for self-service on the Mercedes PRO Portal or with your preferred authorized Freightliner Vans dealership. Once you have successfully registered, you must verify yourself in person at your preferred authorized Freightliner Vans dealership with a photo ID. 100 Mercedes PRO is available for the Contiguous US, Hawaii, and Alaska with The new Sprinter (MY 19). Contact an authorized Freightliner Vans dealership for more information. 101 The Mercedes PRO connect connectivity and fleet solution is initially available for The new Sprinter (MY 19). 102 In order to prevent distracted driving, the use of the Mercedes PRO connect App is not permitted while operating a motor vehicle in order to prevent distracted driving. If used while operating a motor vehicle, there is an increased risk of endangering oneself and others. Please follow your local laws and restrictions. 103 The availability of services in addition to the integrated Communications Module depends on the network coverage of the mobile network provider. The Communication Module (LTE) is not available in the US Virgin Islands or Puerto Rico. 104 The Communication Module (LTE) will be available with The new Sprinter (MY 19). 105 The wireless Internet in the Car is provided by AT&T and created via an integrated SIM card. A contract must be made with AT&T in order to access data services, and this contract can be made via the Mercedes PRO Portal or infotainment system. In addition to a data contract with AT&T, either an MBUX multimedia system with 17.8 cm (7-inch) touchscreen and navigation or satellite radio or the MBUX multimedia system with 26 cm (10.25-inch) touchscreen is required for the Internet in the Car service. Additional costs may apply depending on the amount of data used. 106 The information from this service is shown on the touchscreen of the multimedia system. Live Traffic Information can only be used in conjunction with the multimedia systems MBUX multimedia system with 17.8 cm (7-inch) touchscreen and navigation or the MBUX multimedia system with 26 cm (10.25-inch) touchscreen. 107 A valid subscription to Live Traffic Information is necessary to use Car-to-X Communication. Car-to-X Communication can only be used in conjunction with the MBUX multimedia system with 17.8 cm (7-inch) touchscreen and navigation or MBUX multimedia system with 26 cm (10.25-inch) touchscreen. Only the data of vehicles directly affected by the event and equipped with Car-to-X Communication are processed, therefore you can not expect to always receive a timely warning of hazards. 108 You can only use the Multimedia Functions service in conjunction with the MBUX multimedia system with 17.8 cm (7-inch) touchscreen and navigation or the satellite radio or with the MBUX multimedia system with 26 cm (10.25-inch) touchscreen. Before use, some of the applications must first be activated via the Mercedes PRO Portal. For various functions (Internet Radio and Browser), additional data volume is necessary which can be purchased via the 'Internet in the Car' service. 109 You can only use the Navigation Functions service in conjunction with the MBUX multimedia system with 17.8 cm (7-inch) touchscreen and navigation or the MBUX multimedia system with 26 cm (10.25-inch) touchscreen. Before use, some of the applications must first be activated via the Mercedes PRO Portal. 110 The Send2Car service is available in conjunction with the MBUX multimedia system with 17.8 cm (7-inch) touchscreen and navigation or MBUX multimedia system with 26 cm (10.25-inch) touchscreen. To use this function directly from the Vehicle Management Tool, you also require the Fleet Communication and Vehicle Operations services.